Despite entering the country illegally, 300 Sudanese infiltrators given temporary residency status, after court freezes deportation plan. Israel’s Interior Ministry has vowed to grant legal status to 300 infiltrators who crossed into Israel illegally from the Sinai prior to the construction of the border fence on Israel’s frontier with Egypt. Some 60,000 infiltrators immigrated to Israel illegally prior to the construction of the fence in 2012-2013, which subsequently blocked illegal immigration from the Sinai. While thousands of infiltrators voluntarily self-deported under a government program which offered those leaving to a third country a free plane ticket and $3,500 in cash, more than 35,000 remain, along with thousands of children born after their parents’ arrival in Israel. The infiltrators are primarily Eritrean, Somalian, and Sudanese nationals. Later plans by the Israeli government to forcibly remove most of the remaining infiltrators were blocked by the Supreme Court in 2017 and again in 2018. On Sunday, the Israeli government announced that it would grant A5 temporary residency visas to 300 Sudanese infiltrators within the next 30 days. The decision comes following a petition to the Supreme Court on behalf of Sudanese infiltrators who demand refugee status. 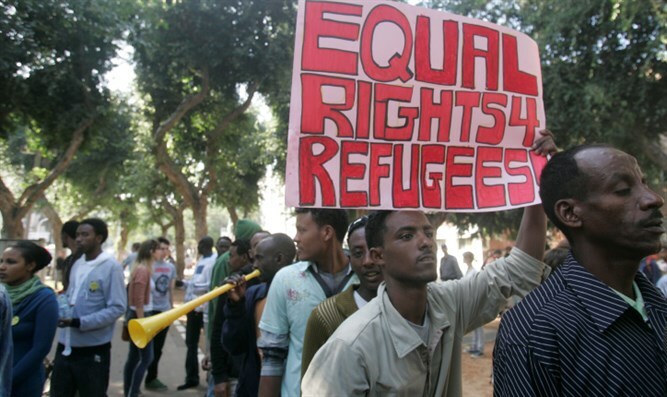 The decision to issue the visas brings the total number of Sudanese nationals from the Darfour region granted de facto refugee status in Israel to 500. The temporary residency visas are valid for 12 months, and may be extended for a total of four years.